Lenovo A7000 which was announced at CES 2015 was launched in India 3 days before.The pricing of the mobile yet done very competitive of around Rupees 8,999 in India.The Lenovo A7000 features the 5.5 inches HD display and the phone is powered by 1.5 GHz MediaTek 64-bit processor and 2GB of RAM.The internal storage is 8GB and can be expanded using Micro SD Card.It has 8MP rear camera with LED Flash and 5MP front facing Selfie camera.The Phone is operated by latest Android Lollipop 5.0 and it has 4G LTE support.The battery of Lenovo A7000 is 2,900 mAh and the Smartphone is exclusively available on Flipkart.If are planning to buy this post then this post will you give the better idea of this phone.Here are the Lenovo A7000 FAQ and doubts answered. Q: What are the design built of Lenovo A7000? 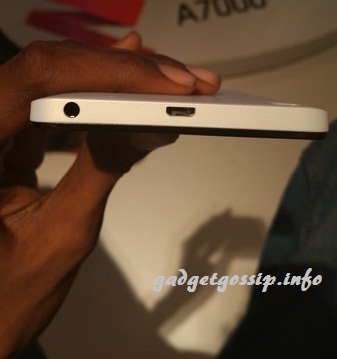 A: The phone has volume and power buttons on the right side, USB port and 3.5 mm headphone jack on the top.The Mic is placed at the bottom and there is nothing on the left side.The Speaker is placed at the rear side. A: You will find the phone, Headphone, Charger adapter, USB cable, Screen guard and User guide inside the box. 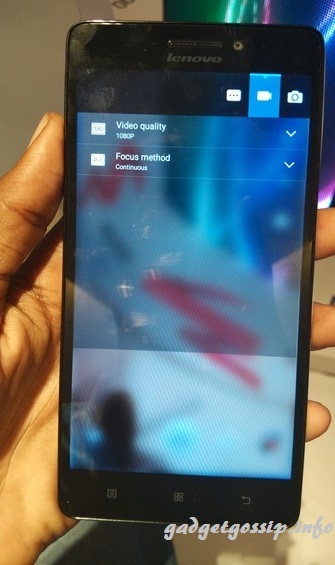 Q: Does Lenovo A7000 has Corning Gorilla Glass 3? A: No, the phone does not have any Gorilla Glass protection.But the phone has Dragontail protection(Used in Redmi 2) which is good to withstand the minute scratches. Q: Do we get screen protector inside phone box? A: Yes, there will be screen guard provided with the Lenovo A7000 inside the box. Q: Is the three navigation buttons are LED backlighted? A: No, sadly the navigation buttons are don’t have LED backlit which is makes tough to operate the phone in night times. Q: Does Lenovo A7000 has OTG Support? A: Yes, it has While LED light for notification purpose.you cannot change the color of the light. A: Around 1.2 GB out of 2GB of RAM is available after the first boot. Q: Can we move Apps and Games to the SD Card? A: yes, you can move the Apps and Games to the SD Card.you can even select the default location to install the Apps and Games.But not the full App or Game can be moved only some part of data is moved to SD Card. Q: How is the gaming Performance of Lenovo A7000? A: It handles Some HD games very well and there is no noticeable lags.It tested playing Beach Buggy racing, Asphalt 8 and Dead Trigger 2, all these games are highly playable. Q: What is Dolby ATMOS and how is the speaker Quality? A: Lenovo A7000 is the first Smartphone to feature Dolby ATMOS speakers which is usually used in theatres.The speaker quality is clear and loud.You can enjoy the moving sounds of an object and works great with Headphones. Q: Can Lenovo A7000 play 1080p Videos? A: Yes, it does play 1080p videos without any issues. Q: How is the camera Quality and what are the Camera features? A: The camera of Lenovo A7000 is good enough to capture decent images.You can even record HD 1080p videos with the phone. Q: What is the free internal memory available for the user? A: Around 3 GB of internal memory is user available out of 8GB.It has some of the preinstalled Apps and Games which occupies more space but you can uninstall that. 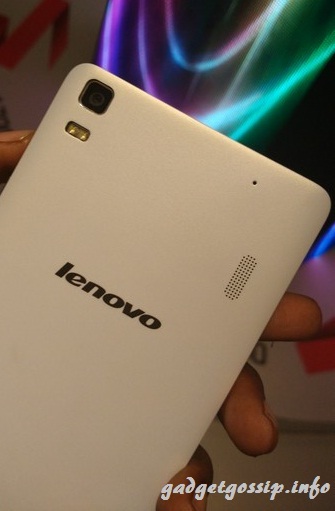 Q: How is the display quality of Lenovo A7000? A: The display looks very bright and crisp.The viewing angles are great and you can double tap the display to unlock the device. Q: Can we make video calls through the phone? A: There is no inbuilt Video calling feature but you can use Apps like Skype, Facebook to make Video Calls. Q: Is there any noise cancellation Mic on the device? A: yes, the noise cancellation Mic is placed at rear side for better call quality. Q: What type of SIM supported in Lenovo A7000? A: It supports Micro SIM, the first SIM supports 4G/3G/2G and the second SIM supports only 2G. Q: What is the benchmark scores of Lenovo A7000? Q: How to buy the phone? A: You can buy the phone only at Flipkart. You can register over here and the first sale is on 15th April 2015. I have tried to answer some of the Frequently Asked Questions of A7000 and If you have any further doubts then you can leave the comment below. gsmarena.com showing the first SIM (which is 4G supported) is unable to make voice call, it is only for data. Is it true? No, you can make voice calls using 4G SIM as well. can you tell me how to open music player in lenovo a7000? Can we install applications to SD Card without rooting the device ? How to set default loaction ? I tried in storage option but apps are still getting installed in internal storage. so lenovo A7000 have HD Or qHD ? Does it has separate memory card slot and two sim slots or one sim slot is hybrid(can be used for either sim card or memory card). Thank you Vijay, for your help. But I think that you actually wanted to say “2 microSIM(?) + 1 microSD” or is it 2 nanoSIM? Can you please show some screen shots showing the process of transfer of apps to memory card as you did in case of huawei honor 4x? does device support hot spot? Yes, Lenovo A7000 supports WiFi hotspot. Is there any lag during using camera,app,games,texting..
Rear ,Front facingCamera quality is good or bad ?? Meditek prcsr is good or bad?? There is no such lag, even gaming on A7000 is good 🙂 The camera quality is decent enough to click good photos and the MediaTek processor is good as well. Sir,can I connect my pendrive via usb otg cable into the lenovo a7000? Yes OTG Connectivity is supported in Lenovo A7000. Lenovo a7000 did not recognize my memory card. can u pls let me know how make it to detect. 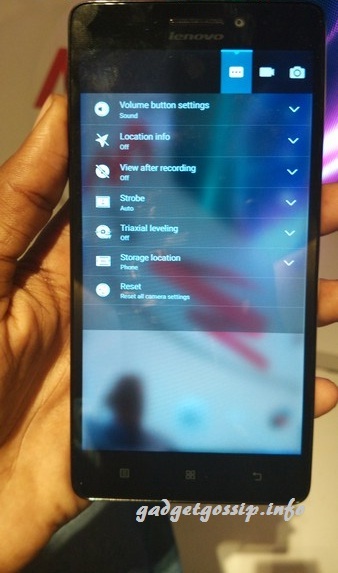 Also I have heard we can use the second sim card slot as “Memory card slot” as well, is it true? Can u post some front,back camera pics to see the quality of the camera..?? Hi praveen, we will post the full review of the Lenovo A7000 very soon 🙂 So please be active on the blog by subscribing. Does all the app and games can be moved to external sd card?? where will be the apps and data present?? ?whether in external card or in internal??? Not access internet on laptop or other mobile through its (lenovo a7000) hotspot. Pls solve my problem. There is no such serious heating issue on Lenovo A7000. i m facing a serious heating issue around memory card slot reasulting in charging problem as battery temperature exceeding safe temperature limit which stops charging and discharging soon .Heating can be felt around the slot ever.when memory card is removed the problem vanishes. plz help the need full. I have recevied lenovo a7000 without its “lenovo “logo on the front side . So is there any dout of duplication, should i change it? I want its logo on front. Please vijay reply me soon . And i also want to know why they are increasing the rate of a6000 are they first selling in under costing and then increasing the rate ? 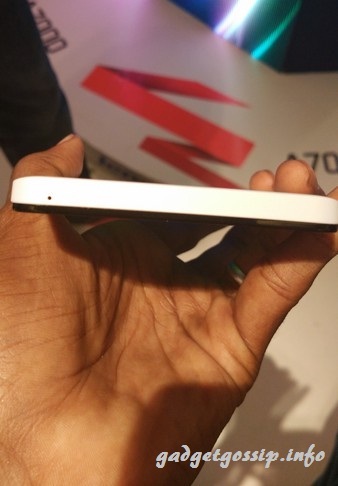 And is there launching of next a7000 with 16 gb rom in next future with name a7000 plus ? Please vijay let me know about it? Hi, Thanks for sharing your review, I have bought the phone and facing a hard time moving many apps to SD card and in Apps there is no option to force move the apps to sd card as in a6000 I guess, please suggest how can this be managed. Not every Apps can be moved to SD Card.Apps like Facebook and Whatsapp can be only installed in Internal memory.Also only some part of the data can be moved to SD Card. There are many Apps and games which are preinstalled like Facebook, Twitter, Skype, Ture caller and many more.If not needed you can uninstall those and free up the space. is it that we can use all 4.5GB/5GB as application storage?? Pls suggest, how to use the Lenovo mobile diagnostic app & Lenovo svc app on Lenovo A7000 model? No there is no inbuilt video calling options.But you can make video calls by using some third party Apps like sype. 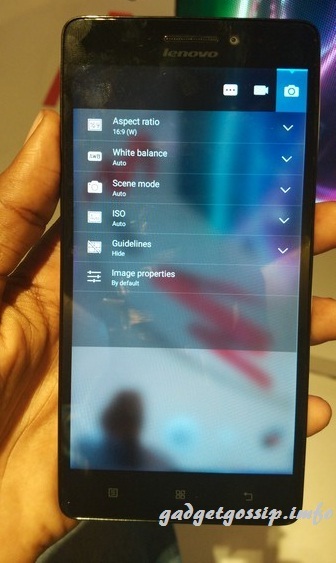 how much internal space we get for apps installation in lenovo a7000 ? Vijay,can you please suggest a good budget on ir over ear headphone to go with the A7000? I’m trying to open word, excel files… but it is not opening. I installed kingsoft office and polaris office while trying to open with this applications error message is appearing “unfortunately, POLARIS Office 5 has stopped…. Hi vijay, I have two questions please clarify. 2)The phone is showing connection timeout when i tried to download any app via google play store using 2g data connection. What is the exact storage allocated for applications. By default its on internal Memory.Still you can change it to SD Card but not the full Games and Apps can be moved to SD Card. There is no such lag issue while using 32GB Class 10 SD Cards. lenovo A7000 have any sim card change notification (by sms) functionality And anti theft protection functionality …? There is no such inbuilt functionality. Go with YUREKA if you can tollerate the little heating issue. Try the HDR mode and hold the phone steady while clicking the picture. Yes,Lenovo A7000 can be rooted. Ya it supports High end HD games. can we connect hard disks and lenovo a7000 phone using its charger? No! you can’t connect Hard disks. how i solve the problem when i download the game like modern combat 5 the message coming the duplicate permission null please help me. How to remove the Combined App or Folderded in Home Screen. single tap on the folder to expand it.now press and hold the app you want to remove. I don’t want to delete the app, I want to just unfolder it. I am facing WiFi problem with lenovo a7000. I am trying to connect my phone with windows 8 but it’s not connecting with it. I have tried all apps like connectify and mhotspot. I have same problem. It is not connecting to wifi using static IP. I think it must be bug of Lollipop version of Android. Please suggest if you have any solution. Hi Vijay – I have been using A 7000 for last 20 days now. The phone is good, however I have some issues with syncing the Phone and SD Card. 2 – Specially for pictures, I can see the thumbnail view of the pictures inside the gallery however when I touch to open the picture, a black screen is appeared. Could you please let me know how can I resolve this issue. Even I have faced this issue.Just restarted the phone to fix it. The earplug pin is not inserting completely into the jack. does A7000 phone support micro sdhc memory cards to expand memory tll 32 gb ? What about the quality of the quality of the screen protector provided in box?Is it tempered glass?Should I go with it or opt to buy a new one?? Can u pls tel me Which memory card can it support of 32 gb..?? and how are its camera quality and pls tel me about its vibe ui..!! i am planning.to buy this phone..
Hi, I’m planning to buy Lenovo A 7000, does Lenovo A7000 have heating issue?? There is no point of false appreciation, it is what it is. Its your bad luck that you got a faulty piece. I’ve been using this piece for quite a while and so far I haven’t faced any major issue and definitely not heating issue. Please don’t generalize and see a lenevo support center. Not very huge Numbers but you can install 8 to 10 medium size games. my phone support otg pen drive but otg cable not supported. same problem happened with my friends mobile. I have a lenovo A7000. In this phone I can using WhatsApp or fb messenger through WiFi easily and fastly but one major problem is why I can’t use WhatsApp or fb messenger using internet data. Is there is a major problem in phone. Please give me a proper solution for this issue. I am also facing the same problem i am unable to use any messenger (wats aap , instgram etc..) i am able to open web site on google crome but nt able to use wats app ….even the internet data connection is showing H & H+ unable to connect please …to resolve this issue…really frusted …. 4: Yes, the whatsapp Backup of Blackberry can be restored. 5:No only the first SIM supports 4G. Tell me abouts Lenovo A7000 Two (2) sim slots ? 2nd sim support only 2G ? is 2nd sim slot supported 3G ??? I am using Lenovo A7000 for one month. i am facing issue with 3G connectivity with my Aircel SIM(1st slot). I tried to check 3G compatibility check with Aircel and it says your device is not in list. Still I used it with APN aircelweb, sometime it works fine and sometime not all thorugh out the day. How can I resolve this ? I purchased lenovo a7000. but it is not detecting my sim. SIM card is cut in micro. and it is working fine in other phones. Try with other sim and if the problem continues return it. I have only one question sir. Exactly how much space is give for installation of apps. Coz the biggest issue with smartphones is their limited app space which gets full very fast after few app updates. I use lots of apps so it would be bad if memory got full just with a few installation of apps. does both the sim work at same time i.e if i have a call on first sim will second sim number informs me that i am getting a call on second sim.so that i can put first call on hold and switch to second sim. aditya have you replaced your sim to 4g sim from gallery if not get your sim changed to 4g sim first & then try it should work. Can we connect to wifi using static ip? Face unlock function is not working on my phone, How to activate it ? Having A7000 and feels good. Volume button gets disturbed while picking from pant picket during ringing? Any solution? I tried to connect my phone to my pc.. only external sd card is shown, is there no way for me to view internal sd in pc.. pls help. No, you cant move the whole data to the sd card. Hi,how to reduce the battery consumption in lenovo A7000 mobile. I read that by turning off 4G LTE when not in use. But how to turn off 4G LTE? My lenovo does not connects to wifi. Even there are many open access points. I have installed the latest update from lenovo. still the same issue. Lenovo has to fix the issue as soon as possible. Other phones can be connected to the network? if yes try resetting the phone. If you have stored too many Wifi Connection to your phone then try removing some of the connections. my phone shows only internal storage as 4.82GB??? i just uninstalled all the pre installed games. how can i increase the internal storage space or 4.82 is fixed one?? After updating my a7000 phone to S143,the wifi is not working properly..
Shareit and Xender aren’t working.. Anybody knows how to clear the download list without deleting the files. how to open the music player in lenovo a7000 ?built in music player? My lenovo a7000 is not able to connect to WiFi earlier it was connecting to my home WiFi but now not.why?how to resolve this issue two arrow signs are also seen on WiFi sign now earlier not why can u help me. I have heard there is a wifi and battery issue after the update in lenovo a7000 so my question is this update come pre-installed with lenovo a7000 and how much memory is provided for installation of apps? PLEASE ANSWER as i plan to buy this phone in 2 or 3 days. I recently bought the a7000 and after 17. days of use the display went off, but the phone still works I relied a few things like removing the battery and re-fixing it yet the issue persist is there any diagnosis am not aware of? more over I did update it and I was thinking the update caused the damage any ideas please, anyone. IAM USING LENOVA A7000 MOBILE. IAM USING 1ST SIM SLOT IDEA 3G. 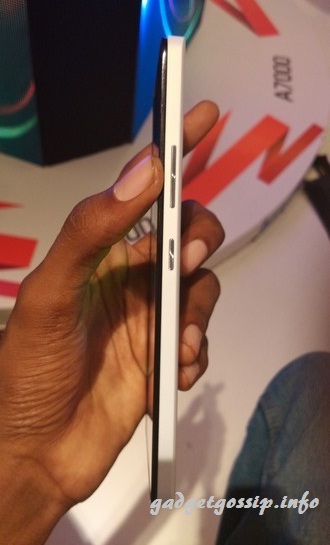 AND 2nd SIM SLOT VIDEOCON 2G. IN FEW DAYS BACK MY 2G WAS NOT WORKING. PLEASE GIVE ME SAME USEFULL INFORMATION. HOW TO SOLVE MY PROBLEM. hi sir!i am using lenovo A7000 for the past one month!i have a problem no!i recievrd an information of”the word processor have been stopped unexpectedly” then mobile hanged! !now i cant switch on the phone!! !only the data connection(yellow light is glowing)!! !i dont know what to do now!! !pls anyone clarify!!! Press and hold the two volume button and power button to force shutdown. Sir i want to ask that if i want to oprate 3g in second sim slot in lenovo a7000 dan can i ?…….what is the procedure for 3g in second sim or i hv to interchange sim cards. Please can u solve my problem..
how to root lenovo a7000 is anybody know????? Will soon post the tutorial on how to root Lenovo A7000. i cant able to acess face lock in my lenovo a 7000. i am unable to understand what may be the problem. please suggest me the solution. Lenovo A7000 does not have the face lock. Internal storage data got erased? or SD card data? How to Send SMS from Second Sim Card ? I have blocked certain calls and messages…How to delete the blocked history ? is the lenovo A7000 compatible for on to go USB 3.00 flash drive ? My lenovo a7000 phone ‘ S power switch isn’t working. What should I do,?? Lenovo A7000 is compatible with 32Gb memory card but will it work seamlessly with 32gb without getting hang or Shud I go for 16 gb mem card ? My phone is lenova 7000a.it’s problem on based SD card damaged.then I took memory card(8gb) in my PC then format it. After the formating then insert the phone again the problem is not over.new version download it not solved the problem. Plz help…. What is the Class of your SD Card? try someother SD Card on your A7000 and see it works. I don’t know.i try it but no change.this SD card using until yesterday. Today morning was the problem has started. Tomorrow I am going to lenova customer service center. Plz give ur opinions my problem. I have a Lenovo A7000 mobile. The problem (or BUG if you may call) with the phone is that when I’m using an app and receive a call, I get a small window with the receiver details and 2 button whether to receive or reject the call. The small window never shows which SIM is receiving the call. I’ve lost a lot of money as I many a times pick the call received on the SIM which is roaming. Can you please check and let me kow if this is any config issue or if there is any work around avaialble or if its simply a bug. I am using Lenovo A7000 from past 6 months.But when i am taking pictures from cam it is saying no space.but in settings cached data occupying 1.3 GB and my default storage is internal memory only.If i delete cached data .what will happen ?My gallery pics are deleted or not.Please suggest how to delete the cache data without effect on my gallery pics. Vijay, Which is 8 & 16 GB best memory card suitable for Lenovo A7000 ? Try updating the phone if any update are available or try restoring the phone. Can I lock individual apps like whatsapp or hike so that it can be accessed by passwork or pattern lock? Sir my lenovo a 7does does not connect otg. What have to do to solve the problem? How can I use data connection during a phone call? hii there i have recently purchase lenovo A700 turbo and got updated to android 6 and then is when problem started, cell phone ask purmission to every app i use and plus recent problem is it shows my sd card corrupted…along with few apps not working properly can you help me fix this issue…. Where is the option for limiting any call in Lenovo phones? How can my Vista laptop access the information that’s on A7000? Im using Lenovo P70 model phone, my query is when i insert 4G sim in my phone after On the apps and default apps are showing double, i reset my phone, later i insert 4G sim again im facing same problem, would pls sugest how to remove it. pls tel me solution. This is really a weird problem. Will update you with the solution soon.